One aspect of my health that I am trying to change is to limit my intake of dairy. Having tried a countless amount of products to help my acne, I’ve read countless articles about the benefits of eliminating dairy and sugar to help the skin. 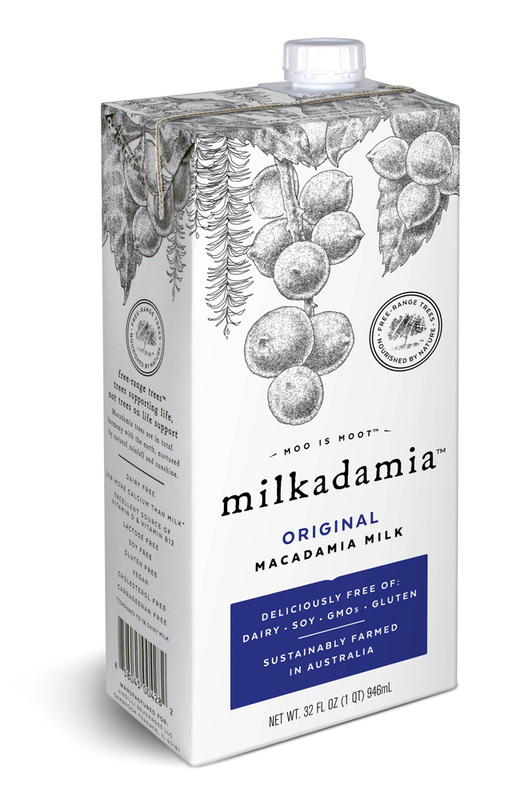 To make this transition a little easier, I’m trying out dairy-free options and recently discovered Milkadamia, a Macadamian-based milk. This includes a variety of flavors, such as Original, Unsweetened, Unsweetened Vanilla and Latte Da Barista that can be enjoyed in cereal, coffee, in soups, smoothies and more. I love how it adds a new nutty taste and smoothness to my everyday foods. This comes from the process in which Milkadamia is made, which is from raw, never roasted, nuts. They are also regeneratively farmed with techniques that create new soil and conserve water (Macadamias are harvested from trees watered only by nature’s rainfall–not artificial irrigation). 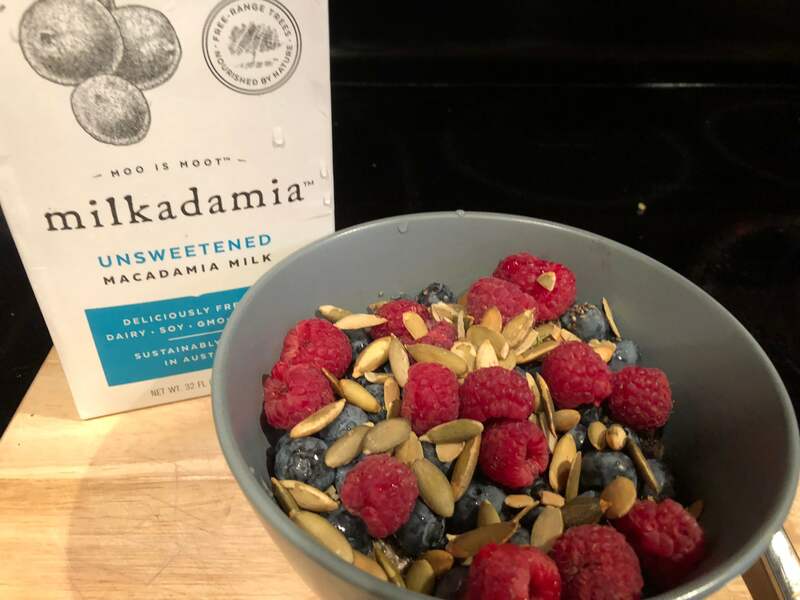 I recently used Milkadamia to create hearty oats where I swapped out water or milk for Original Milkadamia. I topped it off with berries, sunflower seeds and some cinnamon for a heart-healthy and (nutty!) breakfast. In addition to being free of dairy, soy, GMO’s, and gluten, Milkadamia is cholesterol-free, an excellent source of vitamins D and B12, and packs 50% more calcium than 2% dairy milk. 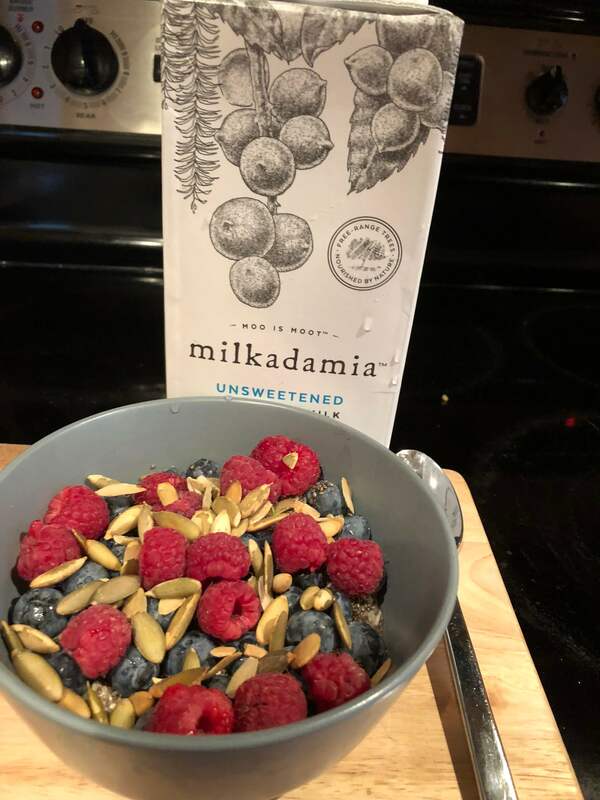 Learn more about Milkadamia by checking out their website milkadamia.com and their Instagram @milkadamia. Milkadamia’s 32 oz. shelf-stable line is currently available in over 5,000 retailers across the US.